Obvious advantages stem from being able to deduct the full cost of state and local taxes you have to pay each year. Every deduction from taxable income helps, and these taxes can sometimes be significant. It's something of a double hit if you have to pay taxes to your state and also pay federal tax on taxes you paid to your state. The state and local tax deduction (SALT) prevents that from happening, at least to some extent. All income taxes that are imposed by a state, local, or foreign jurisdiction can be deducted subject to a few rules. 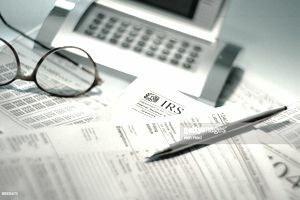 First, you must itemize your deductions on Schedule A to claim them. This means foregoing the standard deduction, which is often more than the total of a taxpayer's itemized deductions for the tax year. Don't be penny wise and pound foolish and give the Internal Revenue Service more money than you have to. Make sure your total itemized deductions exceed the standard deduction for your filing status so itemizing is worth your while. Otherwise, you'll be paying taxes on more income than you have to, which was what you were trying to avoid in the first place. The tax must be imposed on you personally. You can't claim a deduction for income taxes paid by one of your dependents—and in some cases, even by your spouse. You must have paid them during the tax year for which you're filing. Unfortunately, this deduction is no longer unlimited. It used to be that your deduction equaled however much you paid in taxes, but the Tax Cuts and Jobs Act (TCJA) now limits the SALT deduction to $10,000. And this cap applies to state income taxes, local income taxes, and property taxes. You might pay $6,000 in state income taxes and another $6,000 in property taxes for the year, but you can no longer claim the entire $12,000, at least through 2025 when the TCJA potentially expires. The limit further reduces to just $5,000 if you're married and filing a separate tax return. The TCJA also virtually doubles the standard deductions for every filing status, so it might be less likely that the total of all your itemized deductions will exceed these new amounts in 2018: $12,000 for single filers, $18,000 for heads of household, and $24,000 for married taxpayers who file joint returns. Payments of state and local income taxes can show up on a variety of different documents. If you pay estimated taxes to your state or municipality, keep copies of your checks or your bank statements showing the debits from your account. State taxes can also show up on various documents related to tax withholding. Form W-2 (Wage and Tax Statement): Shows state income tax withholding in box 17. Local income tax withholding is shown in box 19 and contributions to state benefit funds can be shown in either box 19 or in box 14. Form W-2G (Certain Gambling Winnings): Might show state income tax withholding in box 15 and local income tax withholding in box 17. Form 1099-G (Certain Government Payments): Might show state income tax withholding in box 11. Form 1099-INT (Interest Income), which may show state income tax withholding in box 13. Form 1099-DIV (Dividends and Distributions): Might show state income tax withholding in box 14. Form 1099-R (Distributions From Pensions, Annuities, Retirement or Profit-Sharing Plans, IRAs, Insurance Contracts, etc. ): Might show state income tax withholding in box 12 and local income tax withholding in box 15. Form 1099-MISC (Miscellaneous Income): Can show state income tax withholding in box 16. Bank statements with copies of canceled checks or debits can prove estimated payments and after-the-fact payments of state tax. The portion of the previous year's state refund that might have been applied toward estimated taxes. The state income tax deduction can be useful in year-end tax planning because taxpayers can elect to increase their state tax payments at the 11th hour to cover any expected state liability that will occur for the year. For example, you can pay your fourth state estimated tax payment, normally due on January 15, in December. This would boost your itemized deductions and can potentially reduce your federal tax liability for the year. Check to see if increasing state tax payments at the end of the year will impact your federal return. Taxpayers who are impacted by the alternative minimum tax (AMT) likely will find that they receive little or no benefit on their federal return by accelerating state payments. State and local income taxes are deductible when you're calculating your regular federal income tax, but they're not deductible when you're calculating the AMT. These deductions are added back to your taxable income when calculating the AMT. The IRS has slammed the door on paying estimated property taxes for the following year before year's end in order to claim a deduction in the current year. Those taxes must now have been officially assessed as of the date you pay them, and this often doesn't happen until after the first of the year. You might consider deducting sales tax instead of the state income tax as an alternative strategy—it's an either/or option. You can claim income taxes or sales taxes, but not both. This generally won't change your federal tax liability because the sales tax deduction is also eliminated for purposes of calculating the AMT, but at least deducting the sales tax can make any state tax refunds non-taxable in the following year. Married taxpayers who are filing joint returns can deduct all state and local income taxes that each of them paid during the year regardless of whether those tax payments were made separately or jointly. Married taxpayers who file separate returns can only deduct state and local income taxes paid by them personally, however. "If you and your spouse file separate state, local and federal income tax returns, you each can deduct on your federal return only the amount of your own state and local income tax that you paid during the tax year," according to IRS Publication 17, Chapter 22. Additionally, married couples who file joint state but separate federal returns are subject to special rules regarding how they can deduct the state income taxes they paid for the year. In most cases, each spouse can only deduct the amount of state taxes paid that is proportionate to the percentage of income they generated on an individual basis as compared to the joint total. In some cases, deducting the actual amount of individually paid state taxes can be more advantageous than just taking a deduction that's a percentage of how much you earned of the total amount of joint income. Each spouse can deduct the amount of state and local taxes he or she actually paid during the year only if they live in a state that declares them jointly and individually liable for their state and local tax payments.